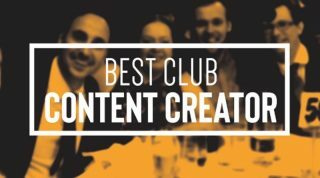 Stretty News has been nominated as Best Club Content creator in the 2019 Football Blogging Awards. If you felt like voting for us that would be very much appreciated. The FBAs nominations reportedly saw over 144,000 votes for over 2,000 different blogs, podcasts and YouTubers. We’ve all been invited to the award ceremony on May 9th, at the Etihad Stadium. Each category is open to two awards – fans’ vote and judges’ vote. The easiest way to vote for Stretty News is on their website – by voting in the Best Club Content Creator category, which is the only section we are running for this year. As well as voting on their website, you can vote on Twitter and Instagram. Find the Football Blogging Awards Instagram page, then the relevant category image (Best Club Content Creator, and tag @StrettyNews as your chosen winner in the comment section. We would like to thank everyone who has supported Stretty News. Any help is greatly appreciated. SN interview with Danny Higginbotham- Part 2.